I can feel a figure of speech coming on. It is sweeping through me like a new… oooh I love a good broom and so do other people, judging by these examples which look as if they have been swept to death. The broom is the dry cousin of the mop but whereas the latter is frequently a disappointment, a good broom is like a faithful companion. Something to lean on. There’s something innocent and yet venerable about sweeping. It’s often the first job given to a child or perhaps a new recruit – sweeping up – something they can do without getting into trouble or requiring too much supervision. It’s the entry point into the world of work, a rite of passage for countless generations before graduating to more complex tasks. Likewise, the broom and the act of sweeping are signifiers of change and renewal, fresh beginnings and an indomitable spirit that refuses to give in. 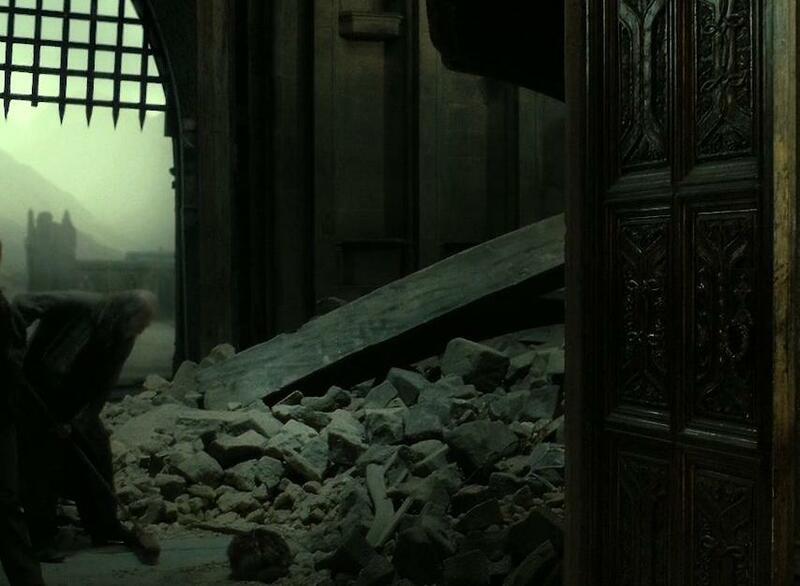 At the end of the final Harry Potter movie, for instance, the school caretaker, Argus Filch, is shown making a rather futile attempt to sweep up a large pile of rubble after the Battle of Hogwarts, a sign that the school will be rebuilt, beginning with this small act. Sweeping is typically used in this way as a shorthand for rebirth and transformation; simply cut to the following scene in which the abandoned house/castle/cave has been transformed into a homely, liveable space. Of course, the modern antithesis of the broom is the motorised leaf blower/vacuum, a reviled device that provokes much angst among normally mild-mannered citizens. The leaf blower offers a devil’s pact when it comes to sweeping up; here, allow me to rid you of all that unsightly leaf litter and rubbish but, in return, I will pollute the environment with additional intrusive noise when you least want it. Why oh why, we wail, can’t our road sweepers and ground staff use a trusty old broom instead, silent and environmentally sustainable? I’m going to be the devil’s advocate here: I like leaf blowers. Alright, alright – I don’t mind leaf blowers. They are a necessary evil. Much as I love a good broom, I have also known the pain of spending a day behind one. They’re not good for backs in the long run. So whenever I hear the annoying vroom-vroom of a blower, any irritation is tempered by the realisation that somebody is being saved a whole lot of back pain as a result. I can live with that. 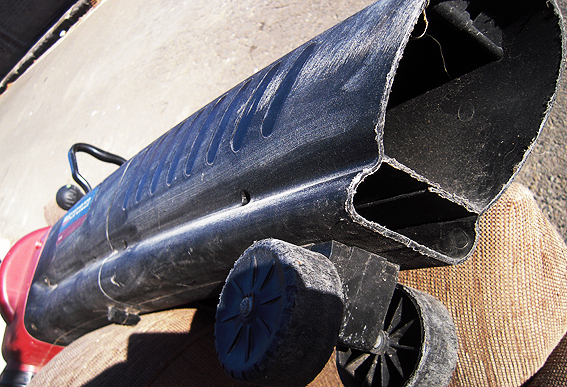 Reviled: the leaf blower is the modern antithesis of the broom.